What Fabrics Should (and Shouldn’t!) Go in the Clothes Dryer? Have you ever quickly dried an item of clothing in the trusty old clothes dryer – only to find that you’ve accidentally shrunk it to a size that not even Victoria Beckham could squeeze into? If so, you’re almost certainly not alone with clothes dryers booming in popularity. With more than 40% of respondents in a recent Canstar Blue survey stating that they use their clothes after every wash, finding out which fabrics are safe for the dryer will no doubt be a wise move, whether you’re a washing veteran or it’s your first time. Read on to find out which fabrics are machine safe, and which ones are best on the clothes line. What fabrics should go in the clothes dryer? With such high clothes dryer use among those who own one, it’s useful to know which fabrics can go through a clothes dryer (hopefully) safely without changing shape and which should be kept well away. Here’s a quick rundown of the more common fabrics, but always remember to check the washing care label of any specific item of clothing! Read on for further guidance. Acrylic is a lightweight synthetic fiber used as an alternative to wool or cashmere, and can be predominantly found on warm clothing options such as scarves, gloves, tracksuits and sweaters. Consumers can buy 100% acrylic clothing, or can find acrylic options blended with wool or cashmere for a cheaper winter option. Due to its synthetic properties, acrylic clothes can be put through the clothes dryer, although you’ll have to use a low temperature cycle, as acrylic will permanently wrinkle if the temperature is too high. Similarly, you’ll be left with wrinkles if you leave your acrylics in the dryer after the cycle has finished, so be sure to grab them out as soon as you can. If you do accidently leave the clothes in a dryer and suffer a few wrinkles, a clothes iron on medium setting may be able to save you, although it’s best to check the label before you get stuck into the ironing. Cotton is a natural fiber, grown on cotton plants, and is one of the more popular options for clothing materials. Often spun into yarn or thread, cotton is used to make soft and ‘breathable’ clothing, handy for climates where the weather changes multiple times a day. 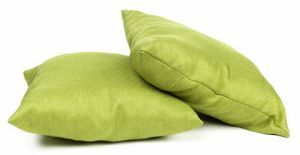 Cotton can also be found in bedding, as well as alongside synthetics such as polyester to create a wide variety of items. While cotton clothes are common, you’ll have to be careful when it comes to drying, as 100% cotton clothes may shrink if put in the dryer, although most cotton blends should be able to survive the drying cycle shrink free. If you’re unsure, or worried about a particular item, it never hurts to check the tag, with air drying the safest option. With the recent double-denim revival now in style, denim clothes are a popular option for many. Made from cotton, denim is a sturdy fabric, handy for both casual Fridays but also a night on the town. 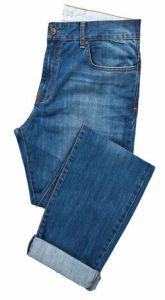 Denim can be put into the dryer, but for optimal care, take them out just before the end of the cycle and leave to air dry, as they’ll keep their shape for longer. Use a low heat and delicate cycle if using a tumble dryer, as well as low heat if you have crinkles to iron out. Made from the fibers of the flax plant, linen is often very absorbent, and used for towels, bedding as well as a variety of clothing options. As a natural fiber, linen can be easily blended to give consumers plenty of options when it comes to fitting out the bedroom or the wardrobe. When it comes to linens such as towels and sheets, chucking them in the dryer is an easier option for many, especially in the colder months. 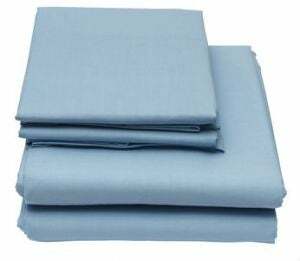 Depending on the blend, most linen options will be dryer safe, although tumble drying may impact on the lifespan of the linen. For other types of dryers, linen will be safe on a low temperature, but is also easily crinkled. Linen clothing is a different story however, with many recommending linen clothing to be professional dry cleaned or air dried to avoid shrinkage and creasing. A synthetic fiber that gets its name from being smaller than a strand of hair, microfiber is typically made from polyesters and polyamides such as nylon. Traditionally, microfibers are used to make mats, knitwear, cleaning dusters, upholstery and specialised clothes such as cycling jerseys. When it comes to drying, microfiber-made clothes and covers should be fine, as long as you set the dryer to a low temperature, as microfiber dries quickly in comparison to other materials. It’s also recommended to dry with other microfiber products to prevent lint from building up. A versatile synthetic, nylon was traditional used for stockings, before nylon and nylon blends expanded into a variety of clothing items and varieties, including the popular active wear range. Nowadays, 100% nylon products are less common, with cotton, polyester and spandex now used in conjunction with nylon for comfort. Most nylon products will be clothes dryer safe, but to be sure, check the labels before you throw them in the machine. As nylon dries quickly, it’s recommended that nylon is put through a low temperature cycle, as well as grabbed the nylon out of the machine as soon as possible, as it can be damaged if left in the dryer too long. Nylon also builds up static cling, so be sure to dry with a dryer sheet to avoid getting zapped. One of the most common synthetic fabrics available for clothes, polyester is often used with a variety of blends to create home furnishings, apparel, blankets and all types of clothes. Polyester is quick drying, so you may not even need to use a clothes dryer, but for peace of mind, you won’t ruin your clothes if you do use a machine. 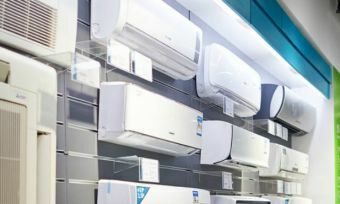 Using a low temperature cycle will also avoid any possible damage or shrinkage. Polyester also builds up static cling, so a dryer sheet is also a handy addition to the cycle. 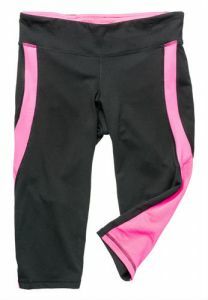 Used for a variety of sporting attire, as well as swimsuits and compression wear, spandex is often mixed with cotton or polyester to be comfortably worn on a day-to-day basis. As spandex is often mixed with other fabrics, you’ll have to check clothes tags before you throw them in the dryer, as some spandex clothes may be fine to dry, while others are best hung out to dry. Generally, the more spandex your clothes contain, the more damage can be done. What fabrics shouldn’t go in the clothes dryer? So, that’s a rundown of clothes dryer-safe fabrics, but now let’s go over the fabrics you shouldn’t try to dry. Finer than wool, Cashmere is often stronger, lighter and softer than sheep’s wool, making it ideal for cooler weather or those sunny days with a bit of a breeze. 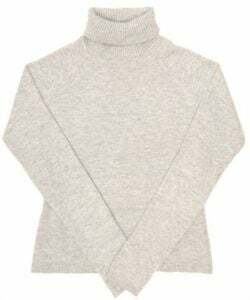 Similar to wool in terms of production, cashmere isn’t suitable for the clothes dryer, as the heat will shrink or damage the follicles, making air drying the best option available. Often eye-catching, lace has been used over many years for a variety of uses, including clothing, cutwork and knitting. Made from yarn or thread, lace is very delicate, and is often blended with cotton, linen and other synthetic fibers for different designs and pattern varieties. As it’s delicate, air drying is the recommended method for drying for lace, as machine drying will likely damage or unthread the design, leaving you with a mess at the end of your drying cycle. Made from animal rawhides, leather and suede are common fabrics, although there are also blends and synthetics available. 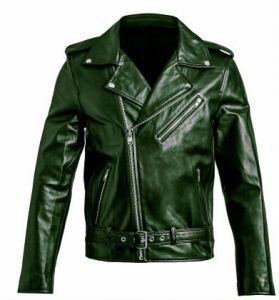 Due to the complexity of the production process, leather and suede can be tough to clean, with machine drying not recommended as it will likely damage and/or discolour the fibers. If you need to dry either leather or suede, air drying is your best option to keep your clothes looking fresh. Manufactured from natural wood fibers, rayon is often used to imitate silk, wool, cotton and linen through an extended manufacturing process. 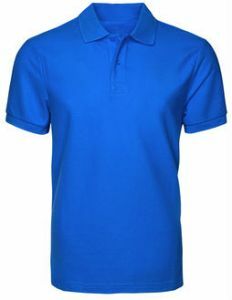 There are multiple types of rayon, so it’s best to check the tag before you look to clean and dry any rayon clothing. 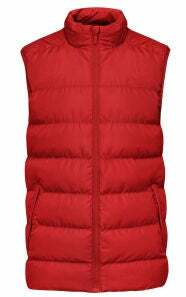 Generally, rayon isn’t suitable for the clothes dryer, as the fibers may shrink and fray when heated, with laying out any rayon clothes to air dry the best option. Silk is a natural protein fiber, predominantly extracted from silkworms, with the end product a soft clothing option to help spice up your wardrobe. Due to its delicate nature though, silk is not dryer-proof, meaning you’re best to either air dry or use a dry cleaner to ensure your silk items are kept intact. Some silk blends may be fine able to survive a drying cycle, although it’s best to check the tag beforehand. A textile fiber sourced from animals such as goats and sheep, wool is a popular winter time option for many due to its thick follicles. 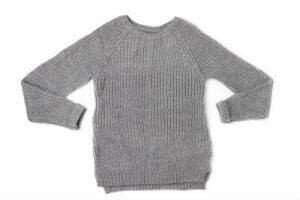 Most woollen items should be air dried to protect it from being shrunk or damaged, although it’s best to set aside some time to ensure it’s dried properly. Some woollen blends will be fine to run through the dryer on a low heat setting, although it’s best to check the tag before you decide to wash. While not all fabrics are suitable for the clothes dryer, having one can make the laundry a lot easier, especially in busy households. If you’re looking for a new dryer, head on over to Canstar Blue’s recent survey results for which brands are available, and which one may be the best fit for your household.